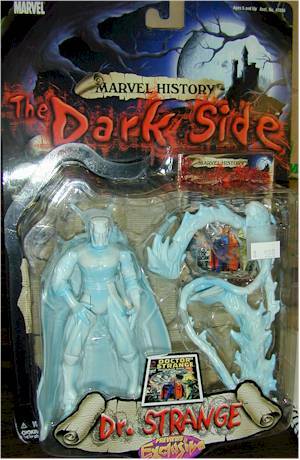 With all the great figures coming out from DC Direct, we sometimes forget that there are still some nice Toybiz/Marvel items popping up. 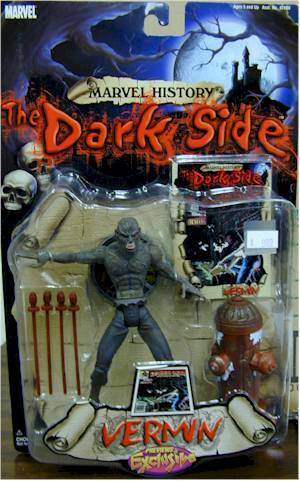 Last week the new Marvel History, The Dark Side figures snuck into comic shops, taking lots of folks by surprise. This is a set of four characters, most of which we have never seen in figure form before. 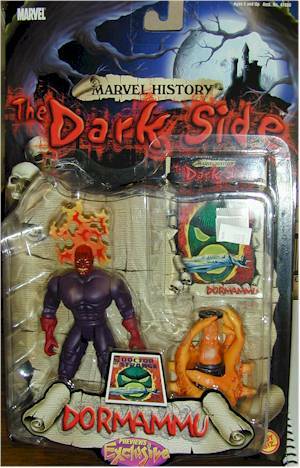 There's Doctor Strange (and yes, he we've seen before but not in this form), Man-thing, Dorammu and Vermin. My local comic shop is selling them for $9.99. You can think of these as mini-Famous Covers, with a small card included showing cover artwork for each character. As bubble cards go, these are pretty nice. The graphics are good, there are decent bios, and the overall feel is appropriately spooky. 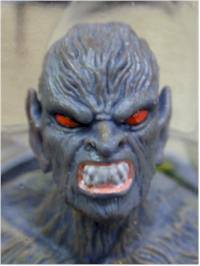 Toybiz can do great sculpting when they really set their minds to it. Some of these figures are better than others - Vermin is top notch, while Dorammu is the weakest of the bunch - but overall the sculpting on the figures and accessories is great. These figures are certainly a better buy than the higher priced DCD figures. But I still hate paying this comic shop premium - these figures should really be selling for $7-$8 each. You can't complain too much though, since it's unlikely we'd ever see some of the character choices if they were selling only through the mass market retailers. 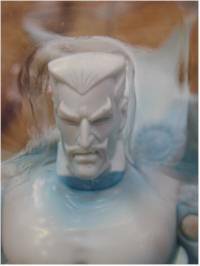 All four figures sport the pretty standard Toybiz articulation - neck, ball jointed shoulders, elbows, knees, hips, ankles, waist...while this is no surprise for a Toybiz figure, it beats the pants off some of the current comic shop competition. Each character comes with one or more very cool accessories, well tailored to his reality. I particularly like Vermin's fire hydrant. Each character also comes with a character card showing artwork from a well known comic cover. 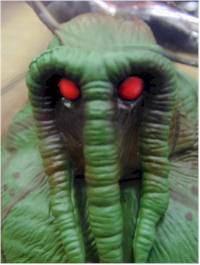 The paint application on all the figures I saw was quite good, once again particularly Vermin and Man-Thing. 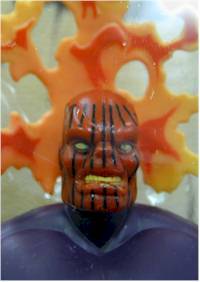 Be picky though, because Toybiz is well known for having paint ops problems. 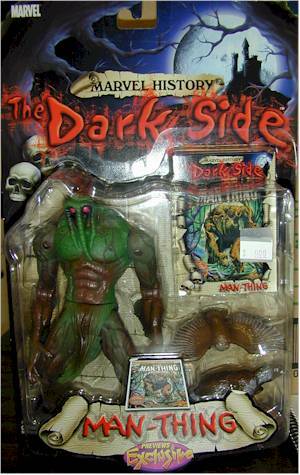 If I were only to buy one, it would be Man-Thing, but that's because he's always been a major favorite of mine. Dorammu is certainly the weakest of the bunch, and wouldn't rate better than a **1/2 on his own. Vermin and Strange are also excellent, however, and overall it's a strong set. It's nice to see Toybiz trying to get back in the game with figures like these and the recent Spiderman Classics.